Scoping out the office market and reading through the research. Thinking of a new office in one of those glass and steel wonders that dot the city skyline? Well, you’re in luck. 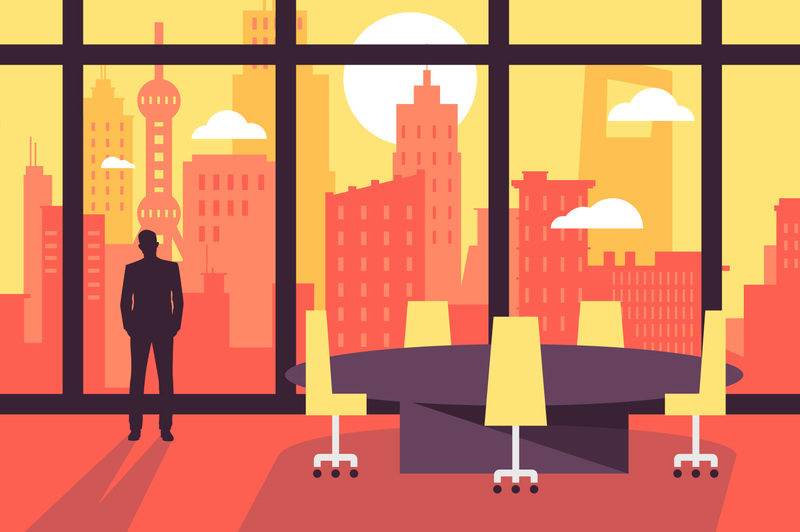 The cost of renting a swanky spot in a Grade A office building has plateaued, and could even begin to decrease if you’re looking in the right spot. That should leave some cash in your bank for more Herman Miller chairs and desks big enough to sneak a crafty snooze under. We read through the property analysts’ reports (CBRE, Colliers, Knight Frank, JLL and Savills) to find out why, when everything always gets more expensive, office rent might be bucking the trend. The rent is getting cheaper, or at least not more expensive. (That counts as a win.) A combination of slowing economic growth, stabilizing demand, and new projects on the horizon has put landlords in a weakened position when it comes to negotiations. They know there are more projects coming and less companies to potentially fill them, so now is the time to cut a deal. If you can’t get a rent reduction, you should at least be able to manage rent-free periods and/or discounts to offset the cost of decoration. Make The Man pay for it. Keep in mind this is the Grade A office market, i.e., the nice towers with nice bathrooms, not the 7th-floor walkup where the management is too cheap to supply paper towels. Big reasons and small reasons. Economic growth is slowing both globally and locally, and that directly affects the real estate market. It works like this: in a slowing economy, companies make less money and therefore have less money to spend on real estate (this is a gross generalization, and even in a slowing economy, there are many bright spots, but — but! — this how it works in general). Global growth for 2019 is projected to be 3.5%, down from 3.7% in 2018, and Shanghai’s 2018 economy slowed to 6.6% from 6.9% in 2017. The 2019 target is 6-6.5% growth, according to the local government. And you know what? The government is totally fine with that, at least in Shanghai, because, as they say, they are moving from a period of high-quantity growth (the 90s and early 00s) to a period of high-quality growth (the last couple of years). What does that mean? Basically, the economy in Shanghai used to be driven by manufacturing. Now it’s not. Now it’s driven by people buying goods and services. Which is healthier for the economy anyway. Tangent. Back to economics and real estate. Another factor is that government is increasing regulation on the finance sector, which is a big big part of Shanghai’s economy. Have you ever seen Lujiazui? That’s the “finance sector”. Specifically, the finance, legal and consulting sectors make up about 50% of Shanghai’s Grade A office tenants. The slowing economy and greater regulation mean they are trying to save money, not splash out on a 68th floor view over the universe. At the same time, supply is greater than demand. Basically, Shanghai is building office towers faster than companies need office towers. To give some perspective, there was about 7.2m sq m of leased Grade A office space in Shanghai by the end of 2018. In the next four years (end of 2022), there will be another 2.3m sq m of new space. That’s like adding six — six! — more Shanghai Towers. Imagine a 100 sq m office, enough for about 10 staff and some potted plants. You’ll be paying around 11.8rmb per sq m per day. Multiply that by 100 sq m (1,181rmb) and multiply that by 365 and now you're at 431,187rmb per year. Divide by 12 months and your rent is 35,932rmb per month, without management fees. Average rent is about 10.3rmb. Put that through the same calculations above (x 100 sq m x 365 days / 12 months) and your rent is 31,413rmb per month, without management fees. Hey, maybe you don't need to be in downtown. How much would you save by going out west? Well, rent there averages 6.7rmb per sq m per day, making a 100 sq m office space 20,379rmb. The biggest impact is in Shanghai’s core business districts: Lujiazui, Huaihai Middle Road and West Nanjing Road. Where the financial companies and their connected service industries are based. According to real estate service provider Colliers, rents actually dropped by 0.8% in Pudong – where the majority of the finance companies are located – from 2017 but will start to rise again soon. After all, there is only so much space in the CBD and very little space to build new high-rises. In research terms, the supply will be constrained by geographical limitations. Knight Frank, also a real estate service provider, projects Huaihai Middle Road and West Nanjing Road rents will remain unchanged or even decrease this year. If you’ve been thinking about upgrading your office space, or have a lease renewal looming, now might be the right time to do something about it – at least in the Grade A office market. Rents will increase again by between 2%-4% per year from end-2019 to 2022, so now is the time to take advantage of the dip in the market, and negotiate with landlords who have become more, let’s say, forgiving towards those looking for a deal. Landlord concessions are on the table. When will that be true again? Looking for an office in Shanghai? SmartShanghai's office listings can help you find the right space for your business.